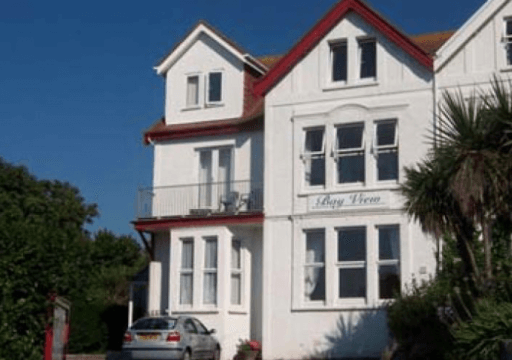 Bay View is situated in an ideal holiday location, just 100 yards from Gyllyngvase Beach and only 1/2 mile from the town's shopping centre and harbour. 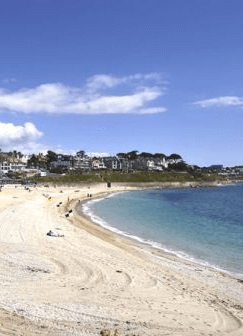 Falmouth town railway station is just 5 minutes walk. We give all our guests the freedom of home by giving them keys to both their own apartment and the house itself so that you can enjoy access at all times. All apartments are completely self contained and provide accommodation for 1 – 5 people. Double glazed and central heating as well as linen is provided. Parking available within grounds. We offer special rates for holidays taken in low season, but whatever time of year you can be sure of an enjoyable holiday at Bay View.